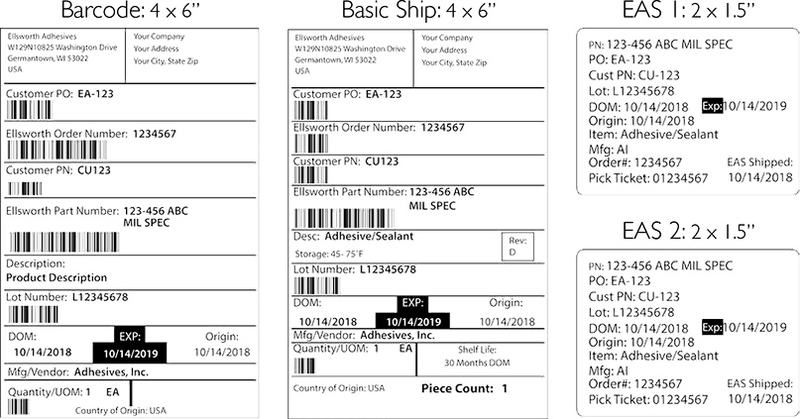 Ellsworth Adhesives understands the value custom labeling brings, and clear/accurate data combined with proper label placement are important to a customer’s process. 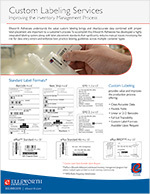 To accomplish this, Ellsworth Adhesives has developed a highly integrated labeling system along with label placement standards that significantly reduces manual inputs; minimizing the risk for data entry errors and enforces best practice labeling guidelines across multiple container types. *Custom Label Sizes Available Upon Request. **ePlus is Ellsworth Adhesives' web-based inventory management program that utilizes multiple types of labels to track inventory automatically. 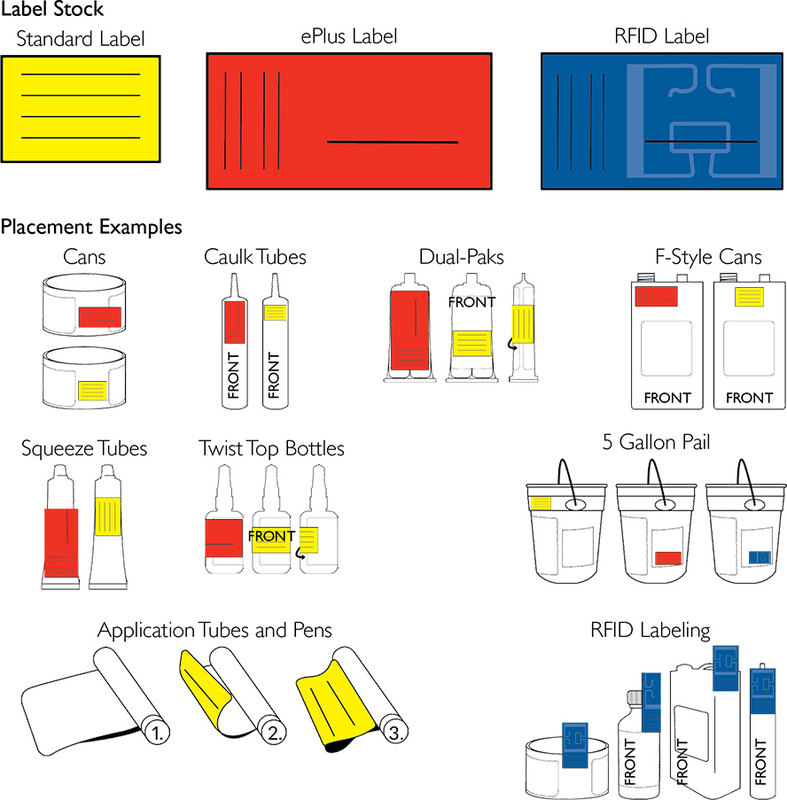 Ellsworth Adhesives avoids covering lot specific, instructional, hazardous information, or apply labels to lids.Labels are placed near the top of the container when possible. GHS pictograms are never covered. To request a customized label or other documentation for your products contact us at 1-877-454-9224 or email us atinfo@ellsworth.com.